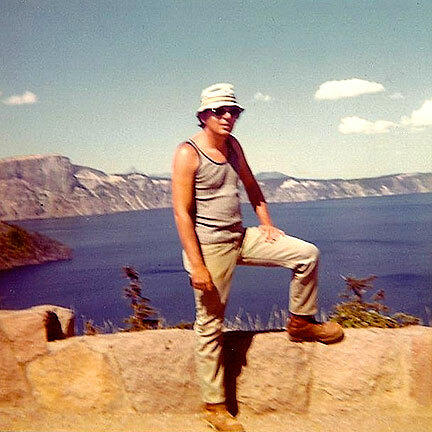 Bill Parr surrounded by nature in either the late 60s or early 70s. 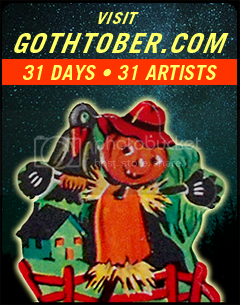 Visit Gothtober’s Pumpkin #6 for a special symposium on true tales of mystery and intrigue! “Dad, do you have any spooky stamps?” I said. Thus, a Father/Daughter collaborative Gothtober project began, where my Dad went through his extensive pre-1945 collection of stamps, and then went online to sleuth out even more excitingly spooky stamp story possibilities. He found everything, he found all manner of fascinating subjects, he is nothing if not thorough. My Dad is a philatelist. Since the age of 16 he’s been studying and collecting postage stamps. He also worked for Sonoma County as a Senior Systems Analyst for about 34 years, which means he appreciates a good flow chart and believes in inventing creative solutions that process assorted types of information in a practical and workable order. When I was a little kid, computers were louder and larger than our refrigerator, and I spent a lot of time drawing on the leftover punch cards filled with holes that Dad would sometimes bring home for me when he came home from work. Fast forward to this day and age where my Step Mom, Ma Peg, watches Dad prepare to go to stamp conventions, and she says “I’m not goin’ to that, it’s a big ol’ NERD FEST!” And she heads for the antique exhibits, and I don’t blame her one bit. Stamp conventions (from what I remember from visiting a couple with Dad when I was a kid) aren’t exactly a rousing hootenanny of extreme excitement, involving chiefly a lot of hushed voices, hunching over tiny engraved and gummed pieces of paper with magnifying glasses and glassine paper and special dorky binders that hold ever more collections of… stamps. Stamp collecting isn’t just nerdy, it’s the outer limits of nerdy, it’s “original nerd” classification. But you see… the apple doesn’t fall from the tree, and I myself love POSTCARDS and did a show of over 1,200 hand painted postcards in 2008 called TimeStamp. We seem to have an appreciation for various types of paper ephemera in my family which cannot be explained. But if you can’t explain it, give it a whirl, right? Here then is the best of Bill Parr’s stamp library in regards to Halloween-themed concepts, the unsolved mysteries, the freaky miracles, the gothic, horrific and strange tales that can be told through amazingly small squares of interesting prized postage stamps! Enjoy!